Have you had dreams or aspirations of launching a startup business? If so then Kickstart Pro is for you! There’s no shortage of available features in this powerful and striking theme which is ready to rock your brand new business or existing business in a big way. The bright potent orange and sleek and professional layout gives this theme a real heavyweight punch. It’s all about having a whole lot of pop and energy and there’s no lacking in that area with Kickstart Pro. There are so many features that you’ll be hard pressed to find anything that this theme can’t do. You get the option to include or exclude sliders, be it stationary or multiple images. You can change colours with a breeze, feature your best content, add pricing pages, etc. The extensive widgets even allow you to add Google Maps so that potential customers can find your location if you’re a physical business. On top, just like all Genesis themes you will get strong security, impeccable code, easy updates, and a site that’s been optimized to ensure that Google will reward you for your awesome content. 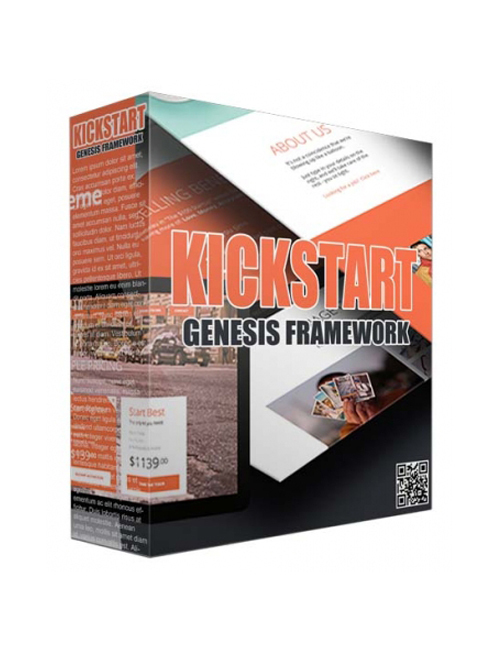 If you’re ready to kickstart something awesome then Kickstart Pro is for you. Grab it now.